After a subdued first half of the year, there are now indications that the second half might see greater market activity, particularly from developers that have thus far been sitting on the sidelines. Also timely is Bank Negara Malaysia’s (BNM) recent decision to cut the overnight policy rate (OPR) by 25-basis points, which many hope will mobilise buyers who have largely been adopting a wait-and-see attitude since the onset of the economic turbulence. The lowered benchmark, from 3.25 per cent to 3.0 per cent, represents the most, significant reduction since BNM’s response to the global financial crisis in 2009. Significantly, companies such as Ireka Corp Bhd are now returning to the fray, with an announcement this week that it is planning to engage in six projects in the second half of 2016 worth over RM1.3 billion. The news comes as somewhat of a surprise in the wake of Ireka’s announcement in the previous week that it had called off plans to build the RM203.14 million Aeon Mall in Negeri Sembilan. Despite this, the company said that it will roll out six property launches at various stages over the next 18 months. Companies like Ireka Corp are returning to the fray with new launches such as [email protected] Kasia in Nilai. 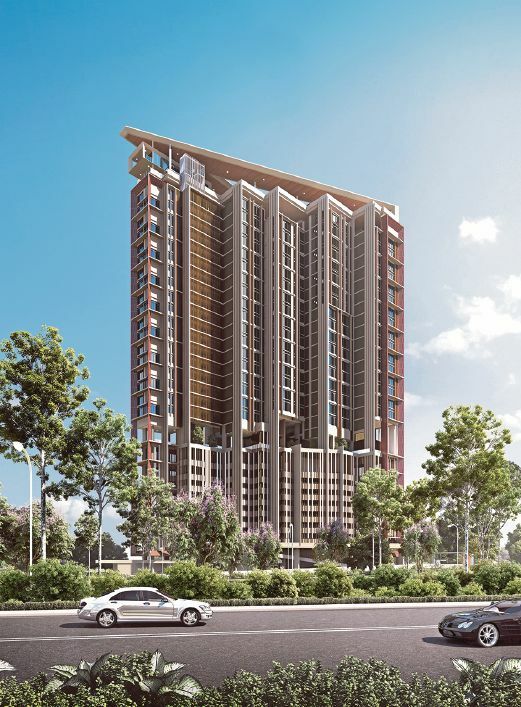 The planned projects are mainly located in outer city areas such as Kajang and Nilai, with a small portion taking shape in the upmarket Mont’ Kiara locale. 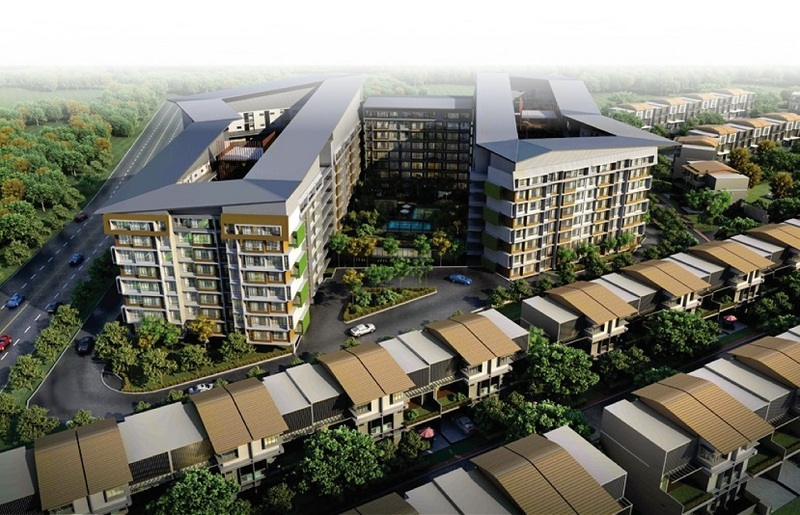 Among the first endeavours to be unveiled in the coming months is the first phase of its [email protected] Kasia in Nilai, a courtyard-style apartment project with an expected gross development value (GDV) of RM130 million. Ireka Corp’s strategy and corporate development director Chan Chee Kian said the company is also positioning itself in the affordable housing segment. “We are a fairly niche player and most of our new projects are in the right segment. We also don’t launch multiple projects at the same time,” he added. “Last financial year, we were facing challenges and we delayed the launch of our property projects due to weak property sentiment,” Chan said. The group’s property development arm registered a loss in the financial year ended March 31 (FY16), compared to a profit of RM5.18 million the previous year. Subsequently, it has not been engaged in any new project launches until the recent announcement. Chan believes that the market is now stabilising, with a number of active developers witnessing reasonable take-up rates. Furthermore, he expects the OPR cut will provide a much-needed boost to the market. Another developer moving into the second half in a big way is Naza TTDI, which plans to launch RM1.4 billion worth of projects over the next six months. Though not as quiet as others in the first half, the development firm’s outlook for the remainder of 2016 represents a significant shift in gear. Commenting on the current market situation, deputy executive chairman and group managing director SM Faliq SM Nasimud said he expects the appetite of property hunters for good value property investments to rise, following BNM’s surprise interest rate cut. Faliq pointed out that the Malaysian property market is still resilient, citing the company’s highly successful launch of TTDI Segaris in Taman Tun Dr Ismail, KL. TTDI Segaris has performed well despite the slow market. “This is testament to the market’s healthy appetite for properties in well-established neighbourhoods,” he said. He added that relatively weak market sentiments have pushed property buyers and investors to be more selective in their purchases. Moving forward, properties with good rental yield and wide accessibility will be in high demand. Naza TTDI is currently in the process of developing a RM1.2 billion commercial and serviced residential project on 4.3 acres of land in KL Metropolis at Jalan Duta. The first component to be launched in November this year is expected to be 616 units of serviced residences. Meanwhile, another indication that investment appetite may be returning to the market is the sudden surge of interest in real estate investment trusts (REITs) in the immediate aftermath of the OPR cut on July 13. Market watchers say that portfolios such as IGB REIT, MRCB-Quill REIT and YTL Hospitality REIT have risen to all-time highs. MRCB-Quill REIT rose to its highest point since its listing in 2007 at RM1.22 on July 14, while IGB REIT rose to RM1.73 and YTL REIT jumped to RM1.11 on July 13. CIMB Research said most of the REITs have outperformed the benchmark FBM KLCI, with IGB REIT and Sunway REIT appreciating 26 per cent and 19 per cent year-to-date, respectively. However, analysts point out that many are now looking into REITs as an alternative investment avenue due to a dearth of investment grade options in the physical property market. Furthermore, CIMB Research said it attributes the advancing share prices to yield-seeking among investors rather than due to the industry’s organic growth. Overall, REITs are expected to see continued interest as the OPR cut has an immediate positive impact on the property sector, but this will taper down in the long run given an expected slower acquisition pipeline due to the scarcity of appropriate and suitable assets. This, in turn, could bode well for reinvigorated developers looking to inject more stock into the market and provide fresh investment opportunities to buyers. The trick, say market watchers, is to also offer attractive financial packages that will entice buyers to get off the fence.